Bremen- Anthony M. Monaghan, 81, of Bremen died Saturday, June 24, 2017 at Baptist Health in Madisonville. He was born in Muhlenberg County on February 27, 1936. 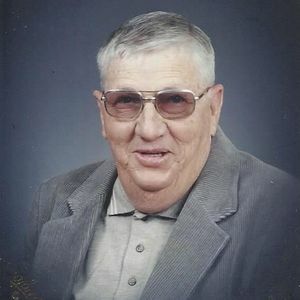 Mr. Monaghan was a member of St. Joseph Catholic Church and an assistant foreman for the Kentucky State Highway Department. He is preceded in death by his sisters, Agnes Drea, Ann Borman, Rose Mary Mills, Kathleen La Buda, SR Mary Renee; brother, John Edward Monaghan. Survivors include his wife, Betty Stewart Monaghan; brother, Donald Pete Monaghan of Central City; sisters, SR Michael Ann, SR June. Funeral services will be held Tuesday, June 27, 2017 at 10:00 AM at St. Joseph Catholic Church in Central City with Father Josh McCarty officiating. Burial to follow in Gish Cemetery in Bremen. Visitation will be held Monday, June 26, 2017 at 5:00 PM at Tucker Funeral Home in Central City. Prayers will be said Monday evening at 6:00 PM at the funeral home. Online condolences can be made at www.tuckerfuneralhomes.com. The beautiful and interactive Eternal Tribute tells Anthony 's life story the way it deserves to be told in words, pictures and video. Profound sympathy to all Family members,friends. May he Rest In Peace,in Light,with Lord Jesus. Have so many fond memories of Pete, He was one of a kind. Loved raising hogs with Don, Played many card games sitting around our kitchen table. But one thing he kept hidden from us is that he could sing. Our girls loved him like an uncle. May you rest in peace old friend. I sure love Uncle Pete. It was always such a treat to be with him. Funny and sweet to the girls and pretty good about taking the boys out to get into trouble, but never getting caught. Couldn't get enough of his Dean Martin singing voice. Let's remember the good times and I wish you well, Uncle Pete! I love you. Aunt Betty, I love you and wish you well, too. So many memories of Uncle Pete...he was such a fun uncle. I could fill a book with all the good times we had when we were both much younger. Going to miss him a lot. Rest in peace, Uncle Pete. Dear ole Uncle Petey! One of a kind! I sure did love him. He was such a great uncle. He had such a unique sense of humor. An easy-going man, so easy and fun to be around. I loved hearing him sing, which he loved to do. When he'd sing Don Williams' songs, it was like an angel singing. The last time I saw him, he was sitting in front of the TV in his easy chair, tuned to a country music channel and every once in awhile, he'd join in the singing. Uncle Pete, everyone should have the pleasure of having an uncle like you. Gosh, the memories I have of Uncle Pete. He was the best. Sure going to miss knowing he's around. I'm so glad I had a one-on-one visit with him last time I saw him. Love you Uncle Pete.